I couldn't believe my eyes when I spotted this beautiful book in TK Maxx a couple of weeks ago. It came sealed but I knew I had to have it and it turns out it's as lovely as I'd expected it to be. The book contains all the basics and some very simple projects, written in a lovely style (which made me laugh the first time I looked though). It's quite old fashioned, but in a good way. It reminds me of my sewing tutor at college! Beautifully laid out and with some gorgeous photography (as you'd expect from Merchant & Mills), it's very easy to read and follow. Perhaps best for beginners but it's also a useful reference in case you can't remember a technique you don't use very often. 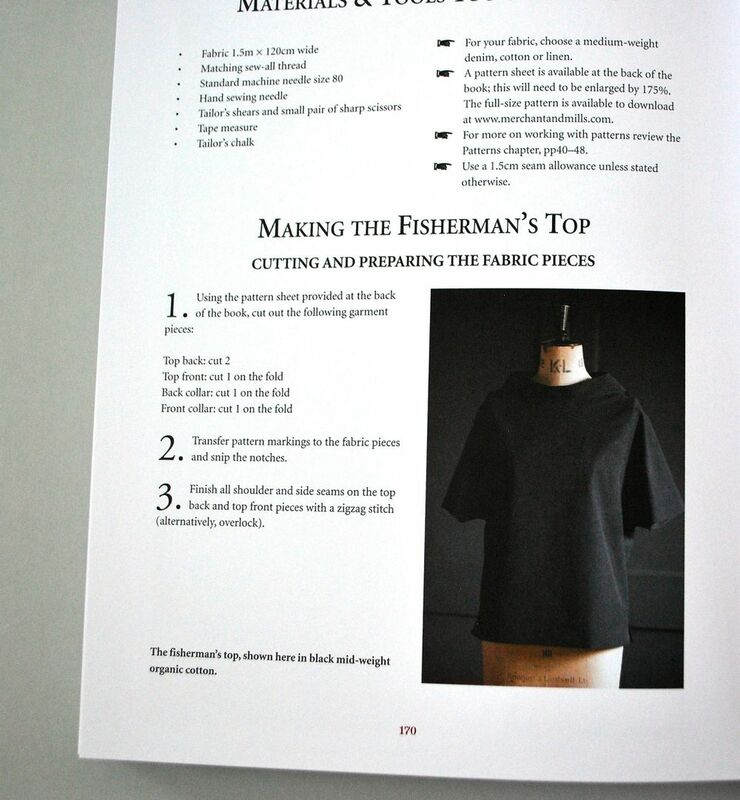 The simple projects contained in the book are very simple but beautiful - I'd like to have a go at several, in particular the Fisherman's Top (for which a pattern is included - not full size though unfortunately so I'm going to have to try and find a photocopier). The Merchant & Mills Sewing Book is published by Pavilion (here it is on Amazon, but you might be lucky enough to find a copy in your local TK Maxx! ).